Good news! 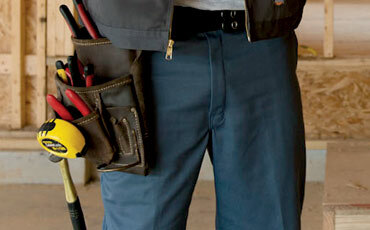 Dickies Jeans with TOUGH MAX™ technology by LYCRA® brand are twice as tough as typical all-cotton denim. At the same time, this fabric provides the comfort and freedom of movement for which the LYCRA® brand is known. You'll notice the difference this premium fabric makes in the fit, feel and durability. The DP800 is made of TOUGH MAX™ fabric with Dickies regular fit through seat and thigh, traditional straight leg and classic 5-pocket styling.